Yup, that would be me! 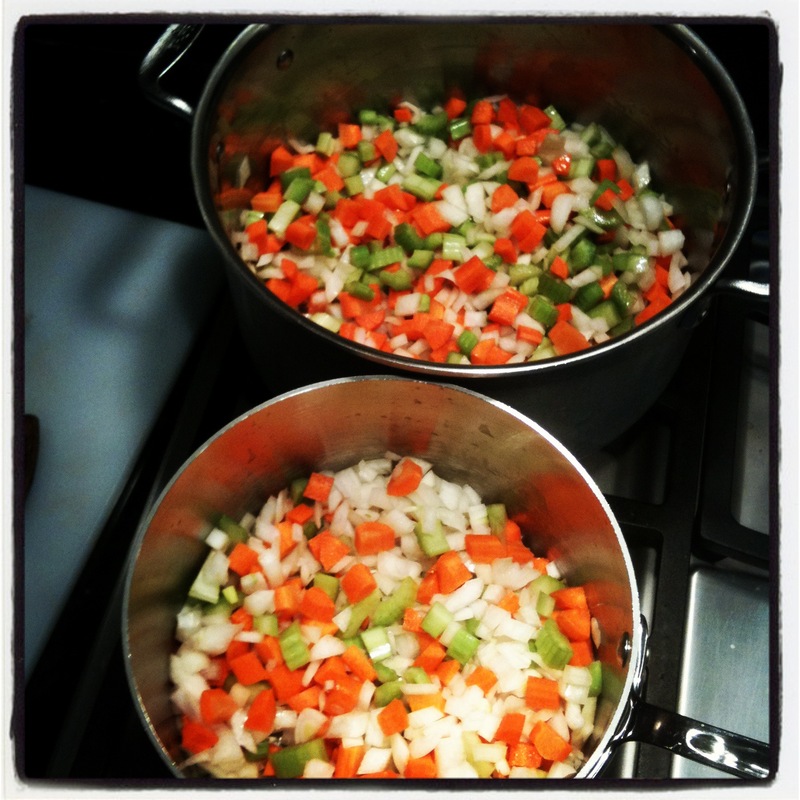 Because I was making two batches of this soup at the same time I cut up more vegetables. 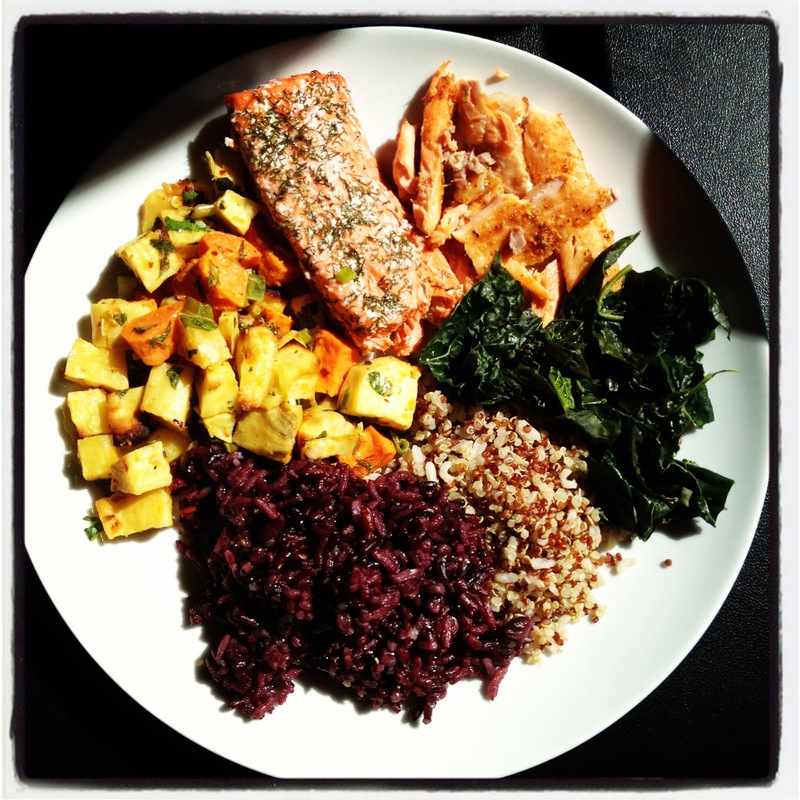 I make one batch with barley and a second with brown rice to be gluten free. 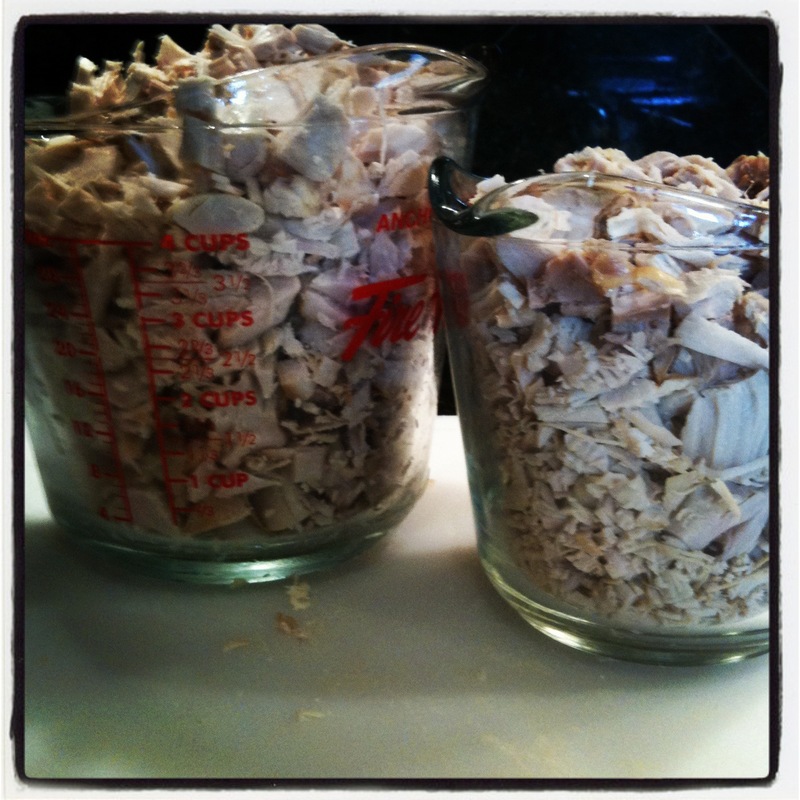 then you’ll have to experiment with quantities for yourself. you use so you’ll know for the next time around. 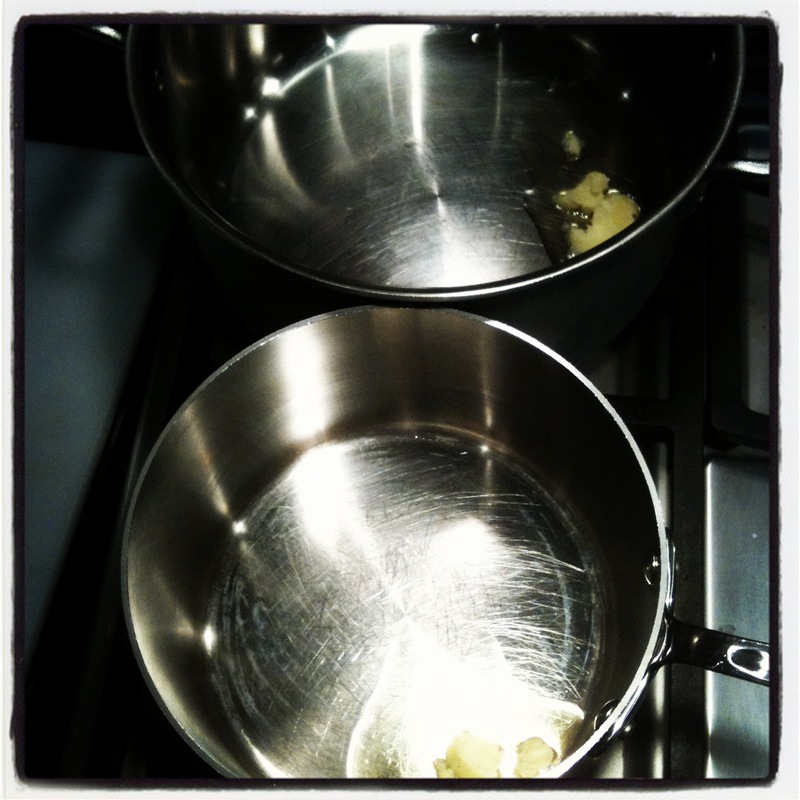 Once pot is warm add unsalted butter or Ghee. 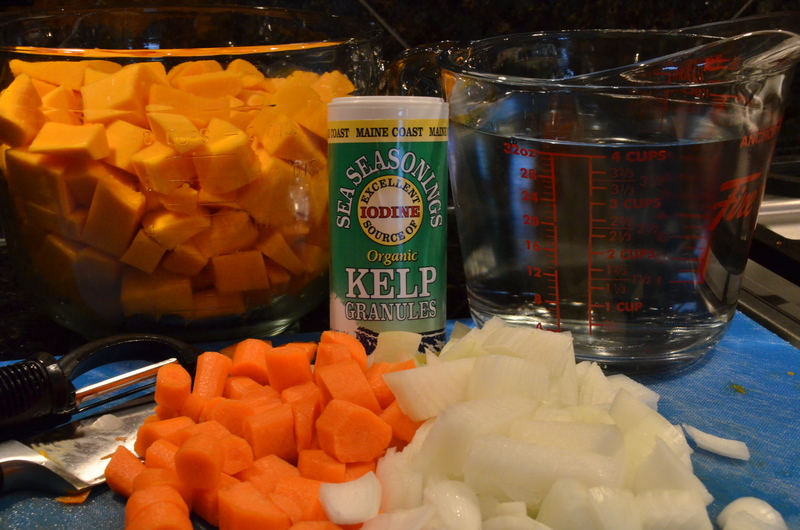 As butter begins to melt, add diced carrots, celery and onions. 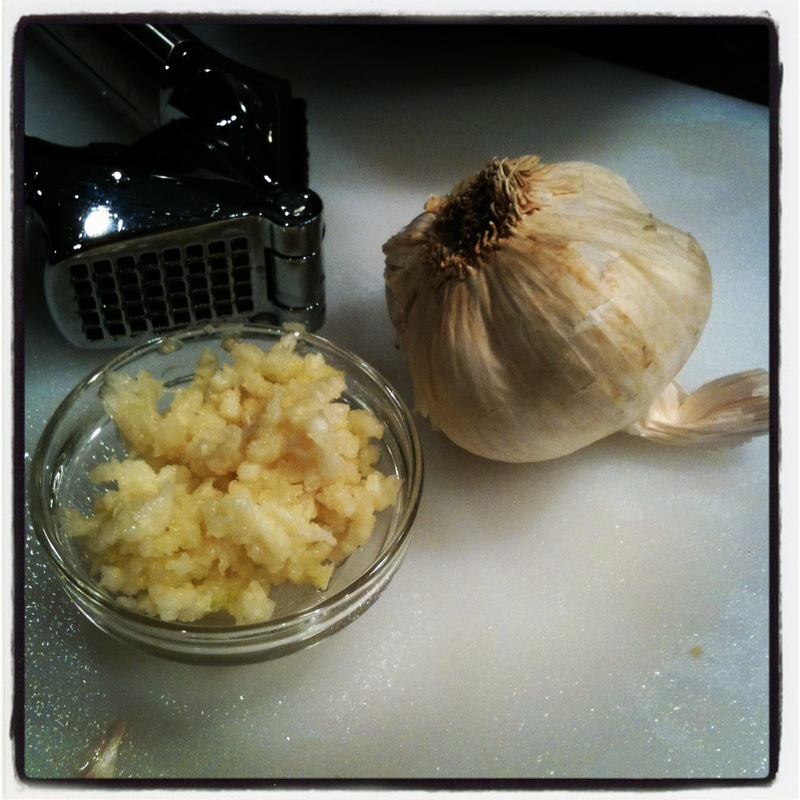 Once softened, add pressed or minced garlic. Above. 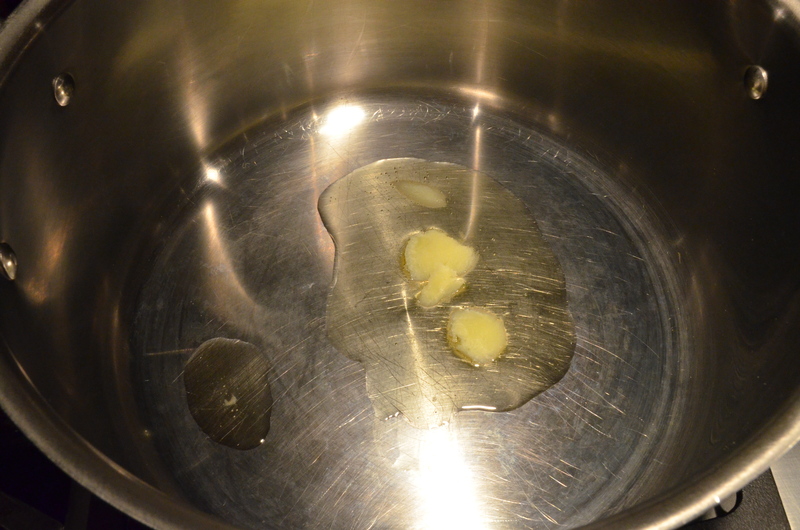 Let garlic cook for a minute or two before adding the stock. 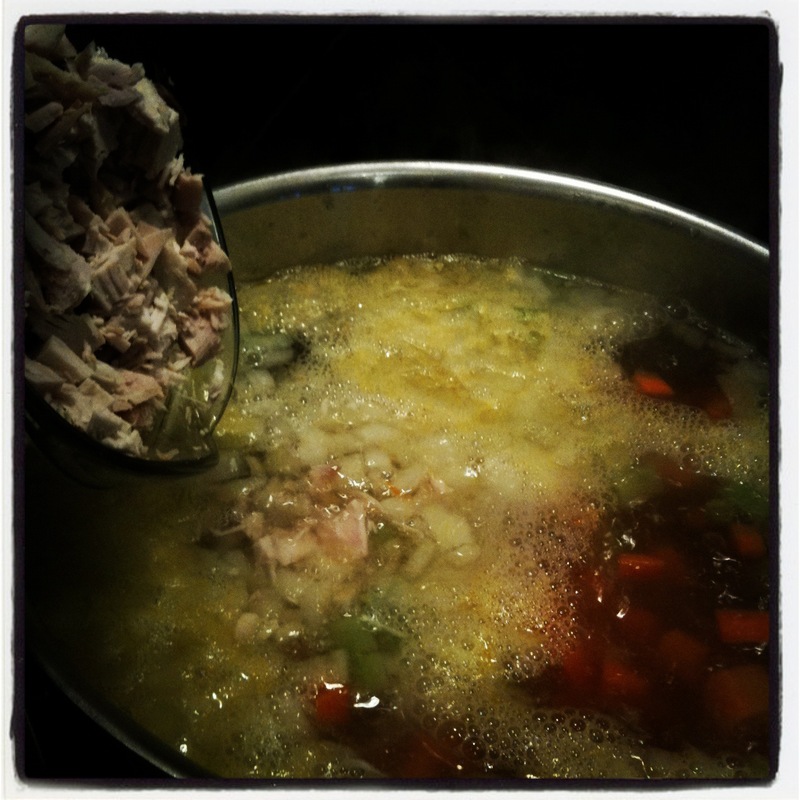 chop the turkey meat (below). 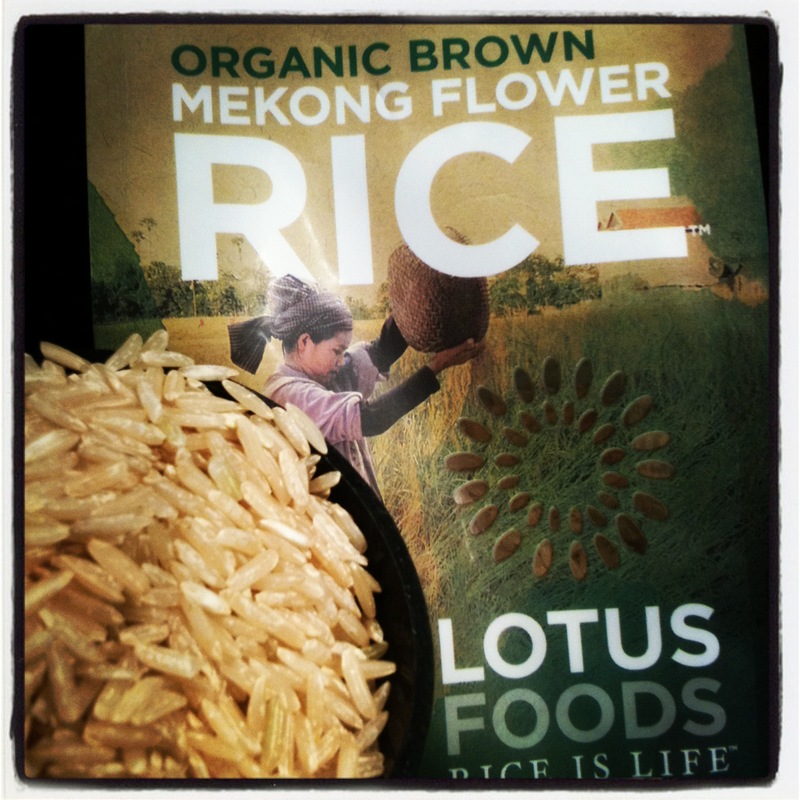 This is the rice I used. 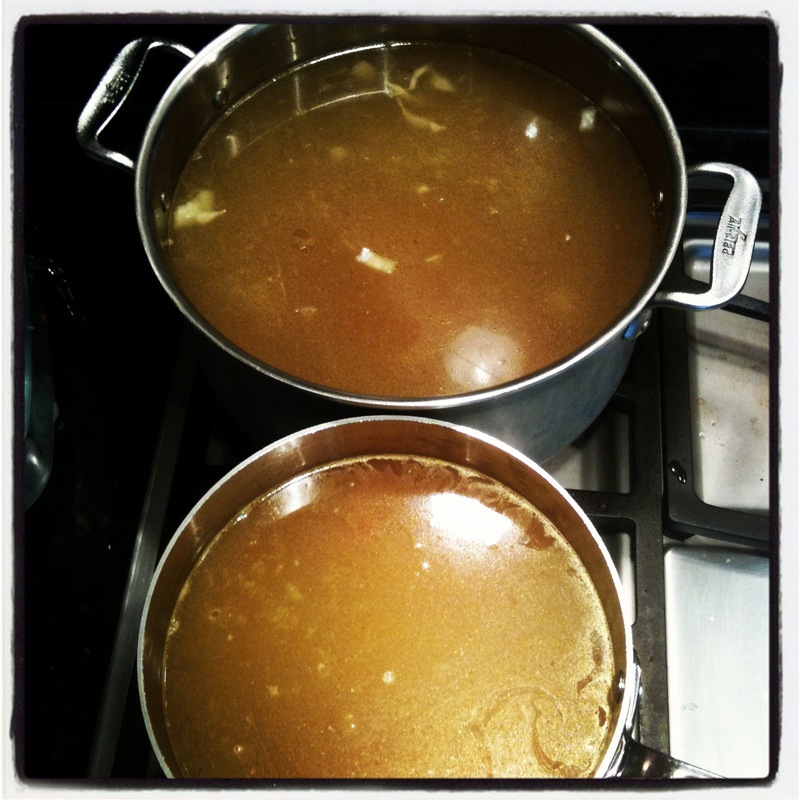 Once the stock comes to a boil, turn down heat to a simmer. 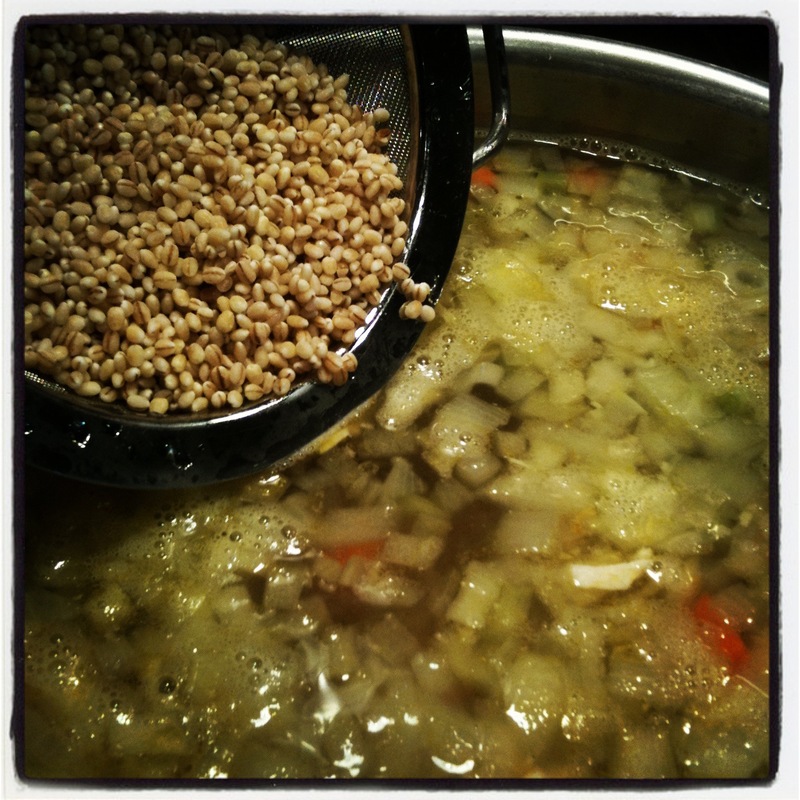 Add the grains and meat. 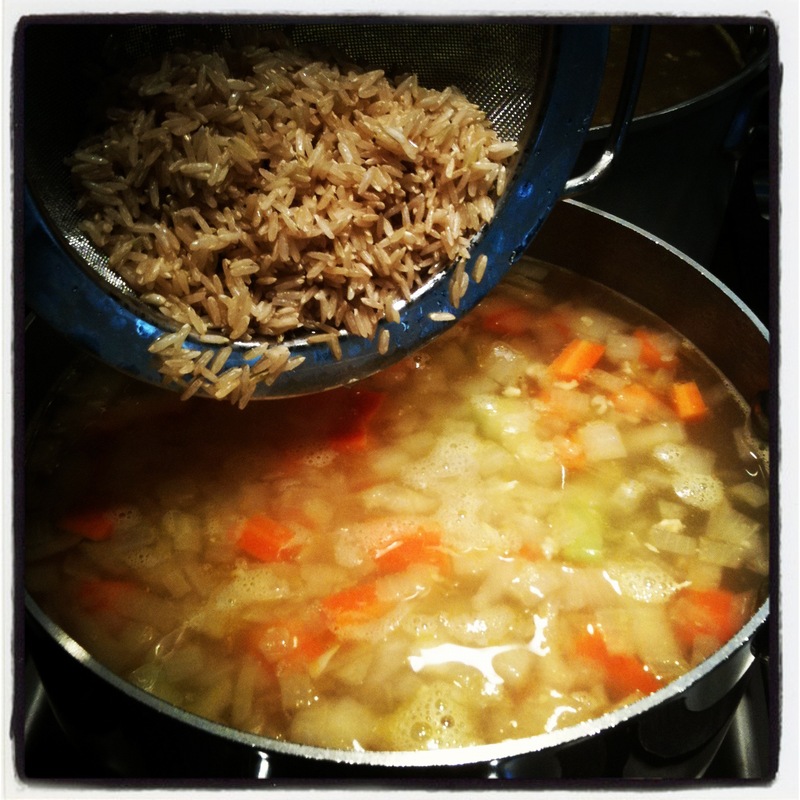 Add 1/2 Cup Brown Rice (rinsed and drained). 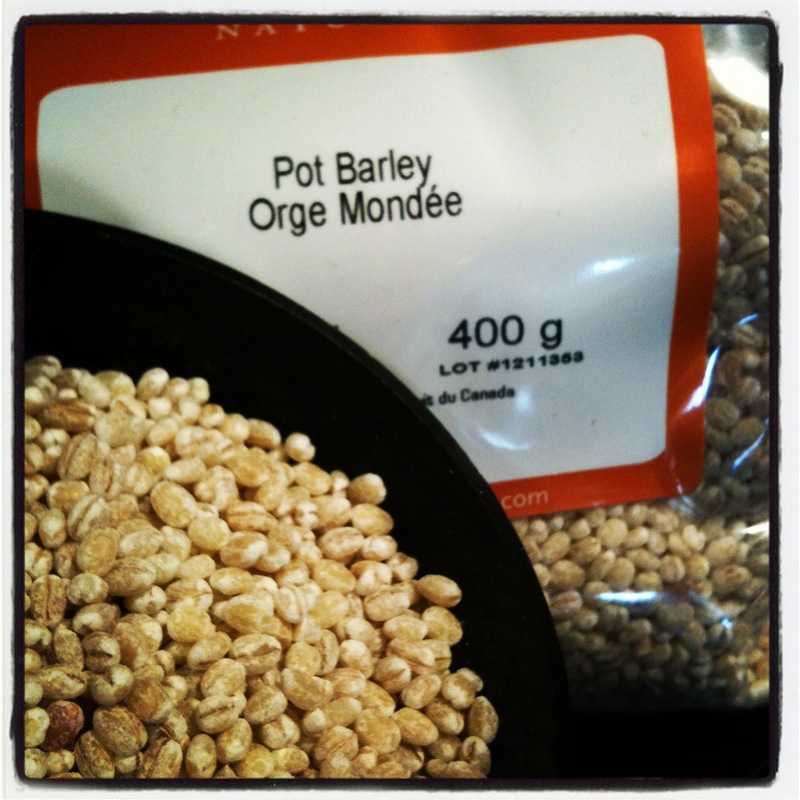 Add 1/2 to 3/4 Cups of pot barley (rinsed and drained). 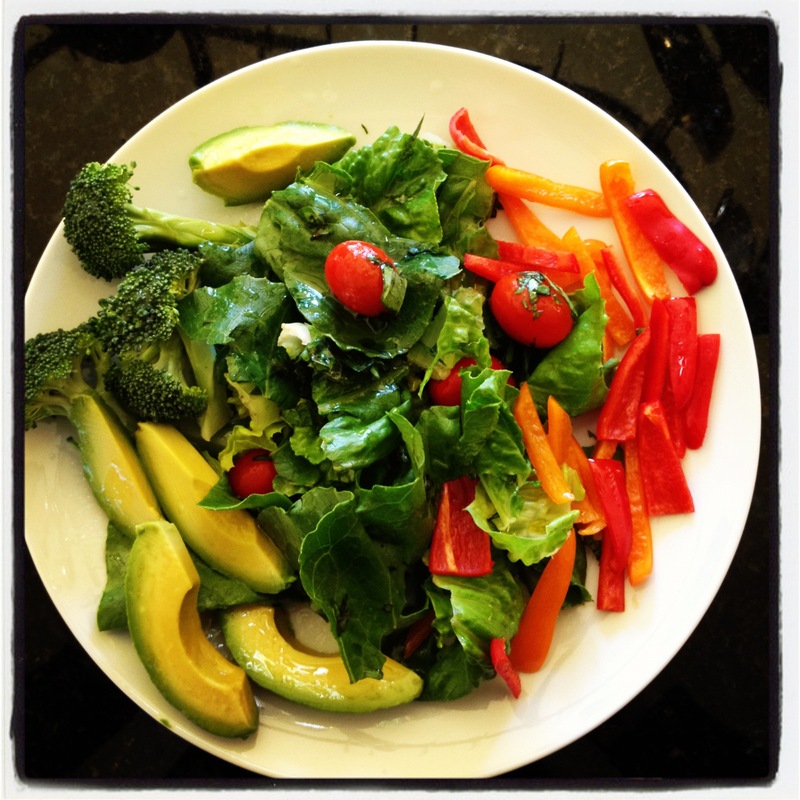 Or maybe you would like a combination? Adding a cup of Pasta is another option. Cover. Simmer for 45 minutes. rather than reheating it in the microwave. Be sure to cool overnight in the refrigerator before transferring to plastic freezer containers. 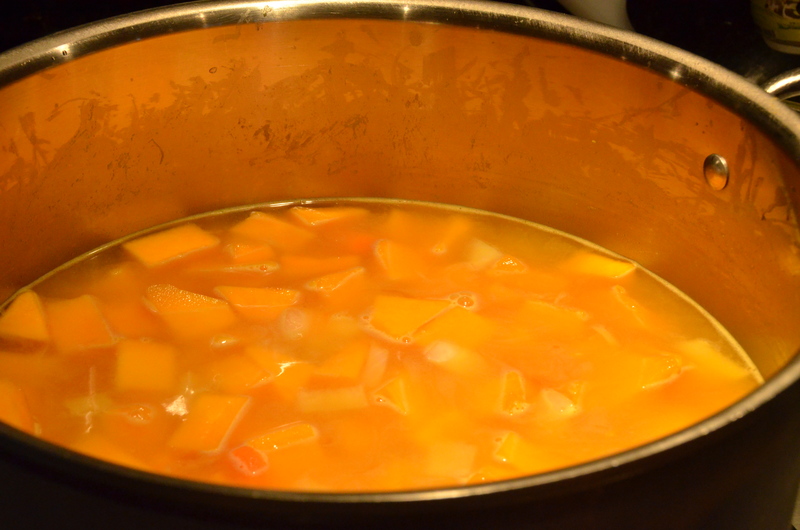 About six years ago, a Shiatsu Therapist suggested I make a soup from the sweet Japanese Kabocha Pumpkin. She told me that medicinally it is very calming and soothing to the body, especially to the spleen, pancreas, and stomach. Apparently, these organs needed calming. She gave me the simplest recipe. It was fantastic. The original recipe called for the addition of Adzuki beans, but since I don’t eat beans now, (according to my blood type!) I just leave them out. 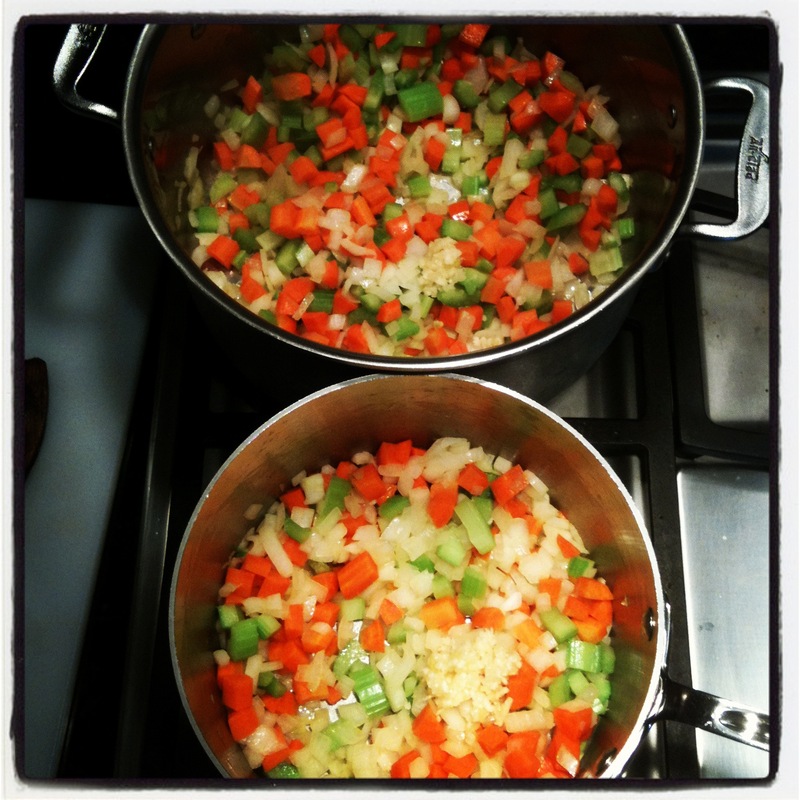 I made the soup today. 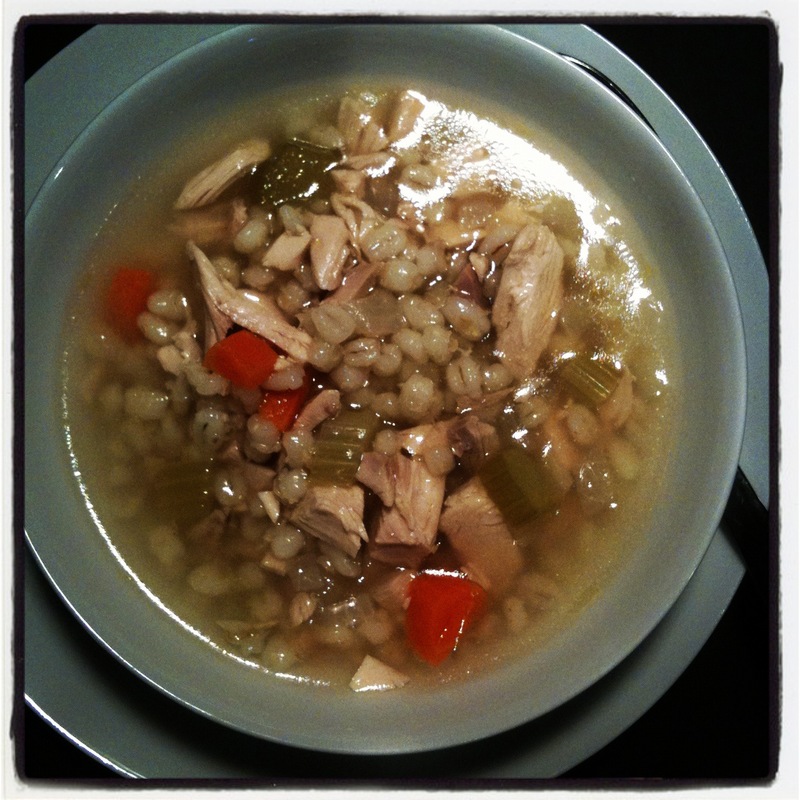 I’m in love with this soup. It’s sweet, filling, has an incredible aroma and is so simple – my family loves it too. 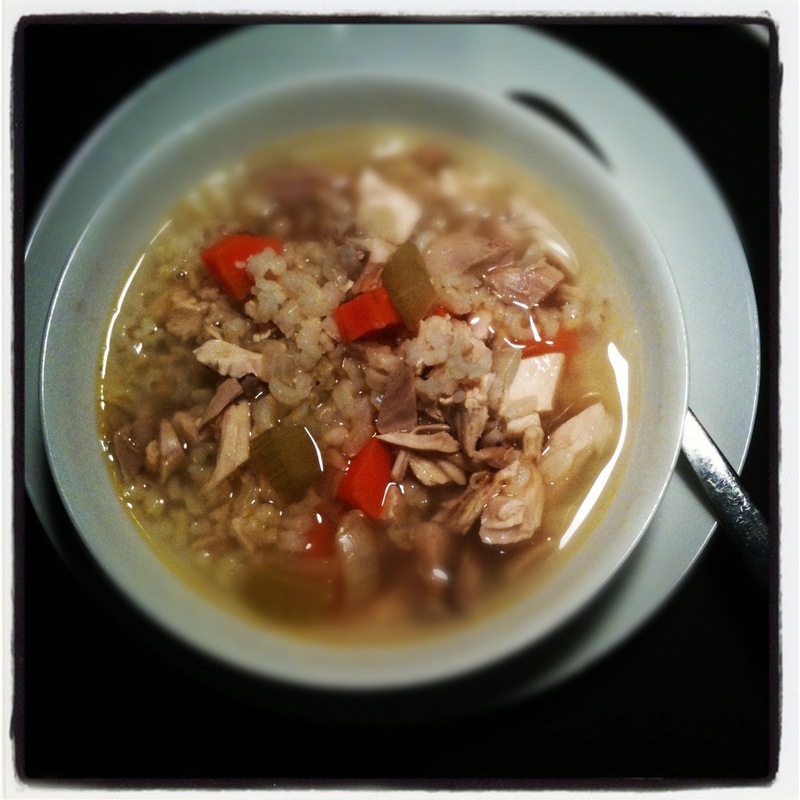 In the past I played around with the ingredients thinking that more was better and would use different stocks trying to ‘add’ more goodness to the soup. What I’ve discovered is that it’s best like this. 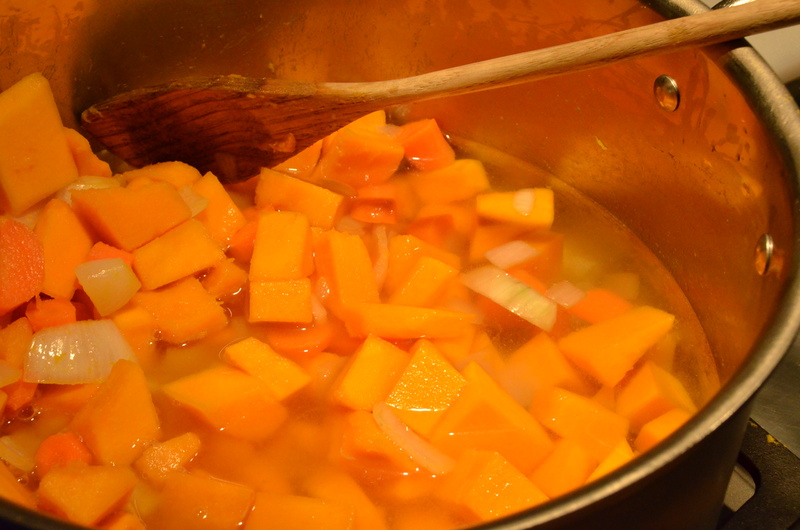 The Kabocha is a variety of Japanese Winter Squash. It is naturally sweet and big on flavour. Kabocha pumpkins are usually green – well, at least that is how I came to know them until yesterday, when I found a shipment of Golden Kabocha at my local grocer. 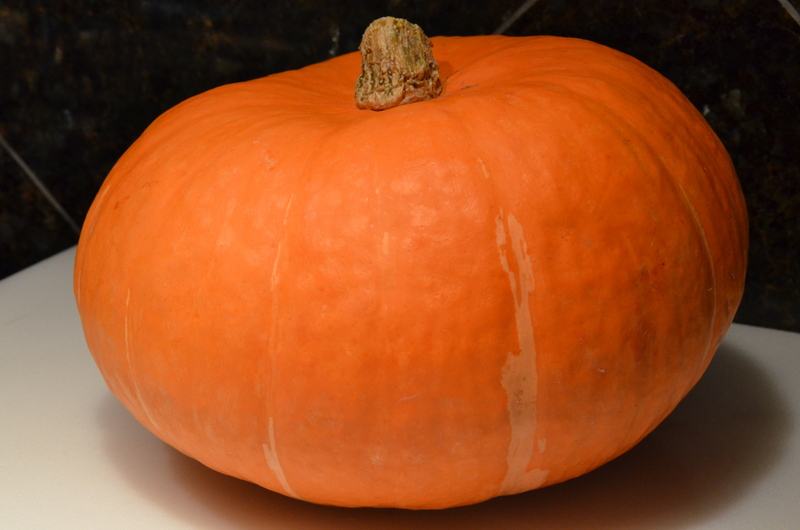 Here is a picture of a typical Kabocha. 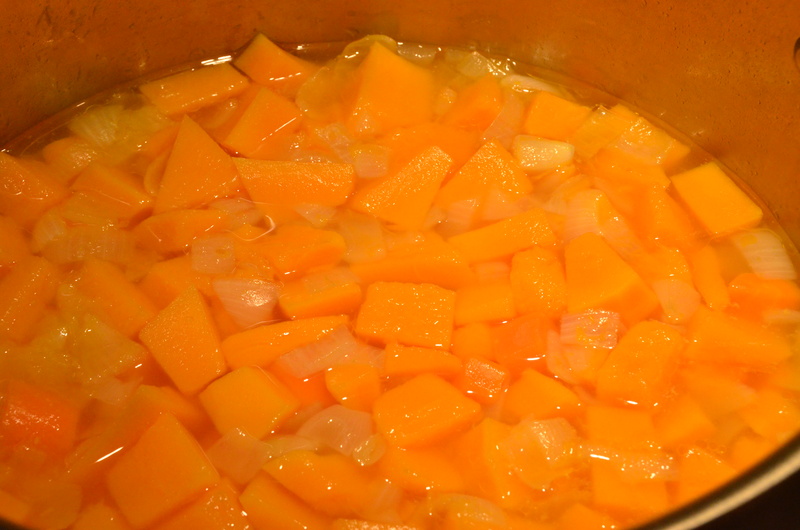 1 Medium Kabocha (Green or Golden), cut into cubes (volume of approx. 8 Cups). Caution: the Kabocha has a very hard skin, exercise caution when cutting through. 2. 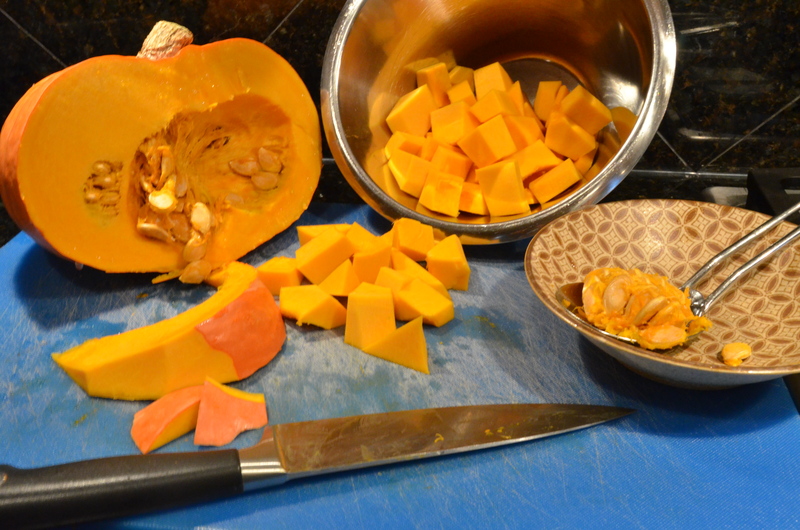 Cut Kabocha in half – scoop out the seeds and strings. 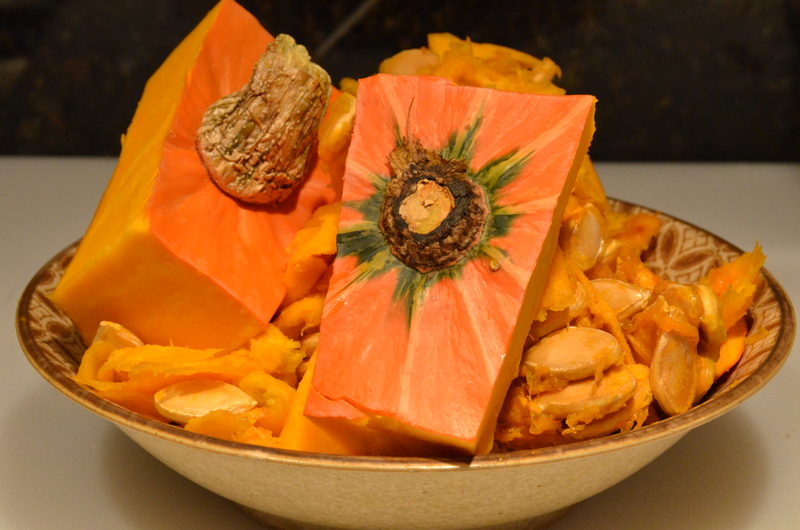 Cut the pumpkin into manageable slices with the intent to cut away the hard skin. 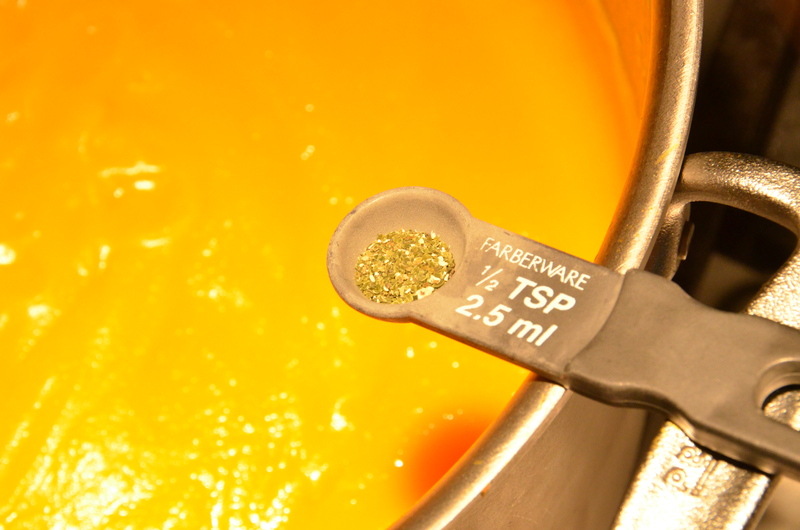 Once the hard skin is removed, cut pieces into small cubes. 4. Wash and chop medium onion. 5. 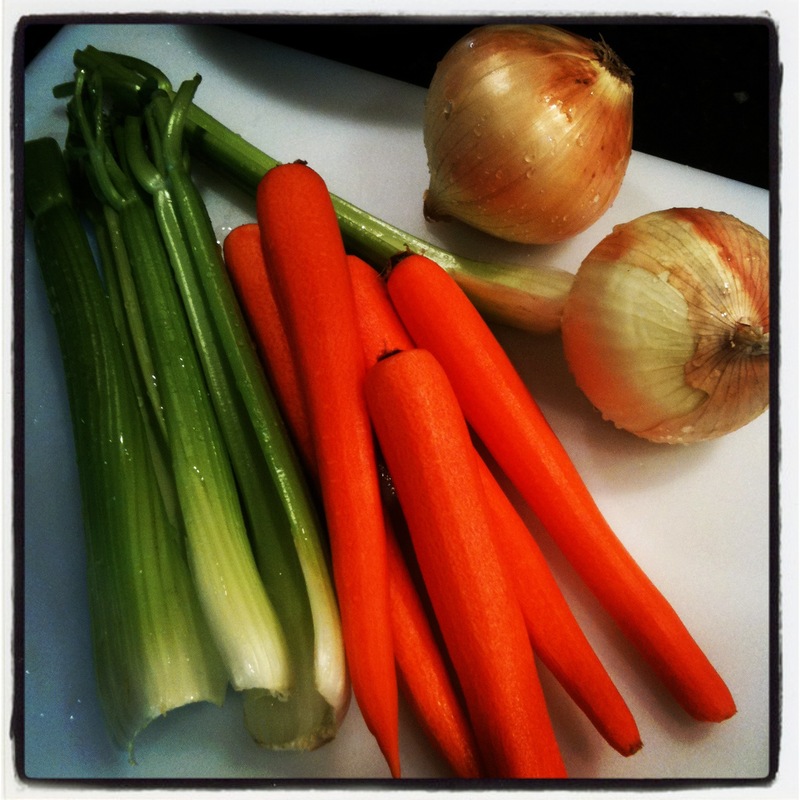 Wash, peel and chop carrots. (keep the skins on the carrots if you prefer, just be sure to scrub them clean first). 6. Heat large soup pot on medium heat. 7. Add 1 TBSP. 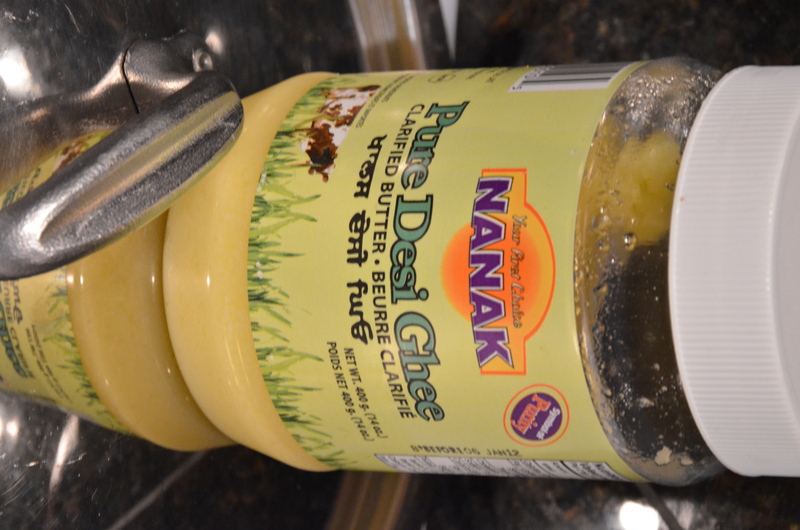 Ghee (or Olive Oil). 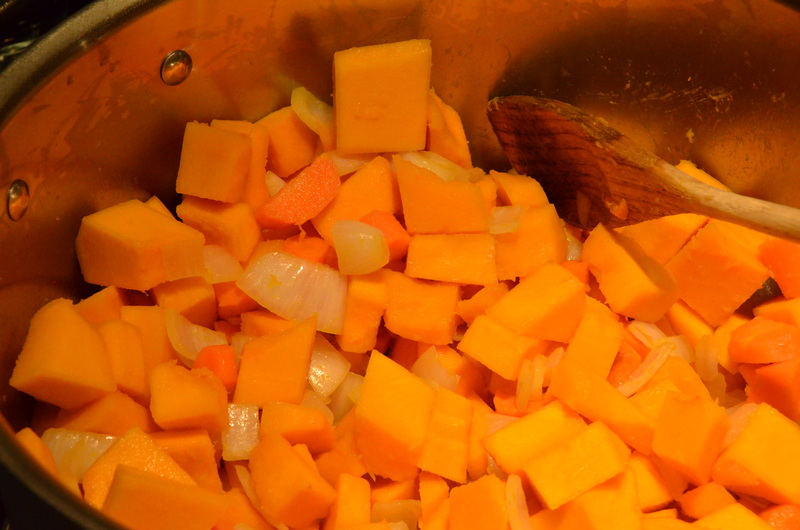 8.Add Kabocha, onions and carrots. 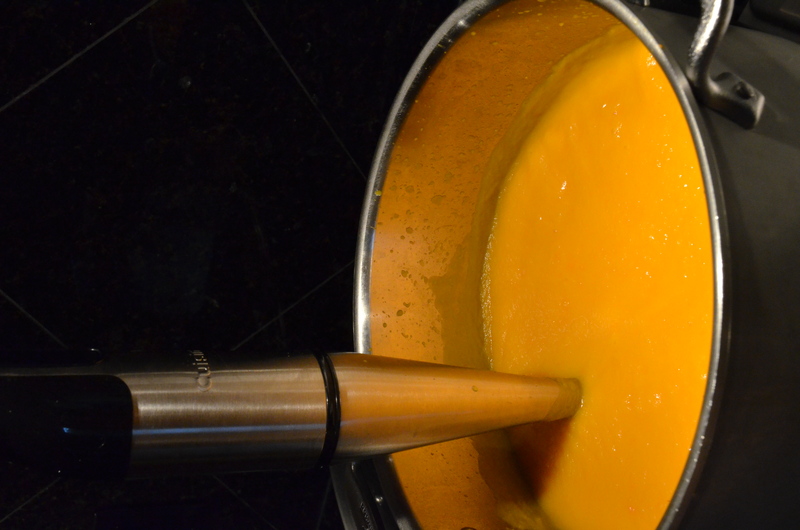 Stir well to coat vegetables with Ghee or oil. 9. 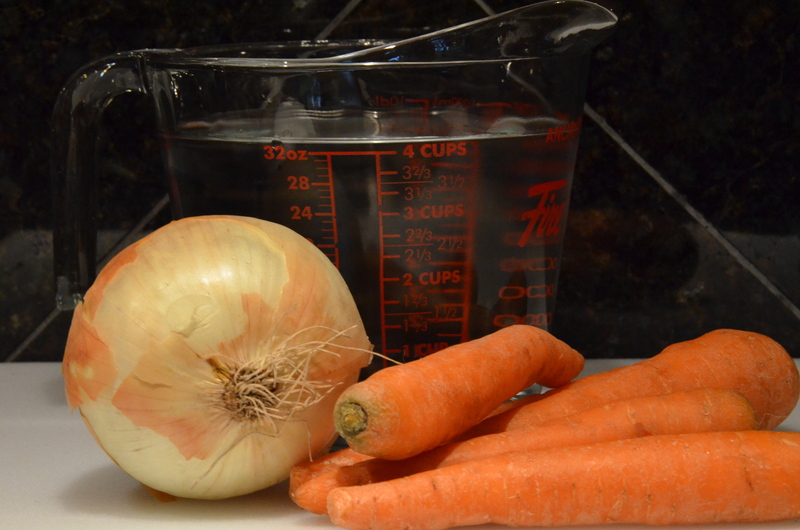 Allow vegetables to soften for 8-10 minutes, stirring occasionally, until some of the onions look just shy of becoming caramelized on the bottom of the pot. In other words, until the onions start to become golden and somewhat translucent. (after 8 – 10 minutes on medium heat). 10. Add 4-5 Cups of Water. I decided to put in 5 Cups of water. I could have put in 6 but I decided to add more later if need be. 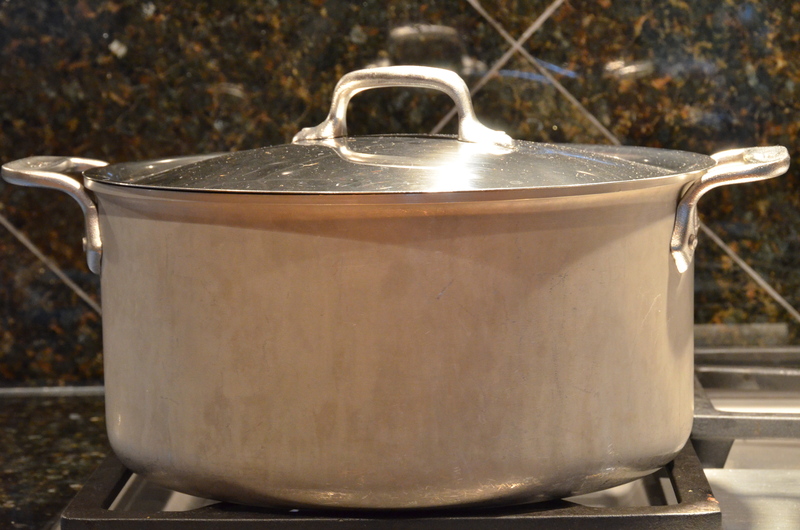 If you put in too much water and the soup is too runny you can just reduce the soup by cooking it without a lid which will allow some of the liquid to evaporate and therefore thicken up your soup naturally. 11. Cover. 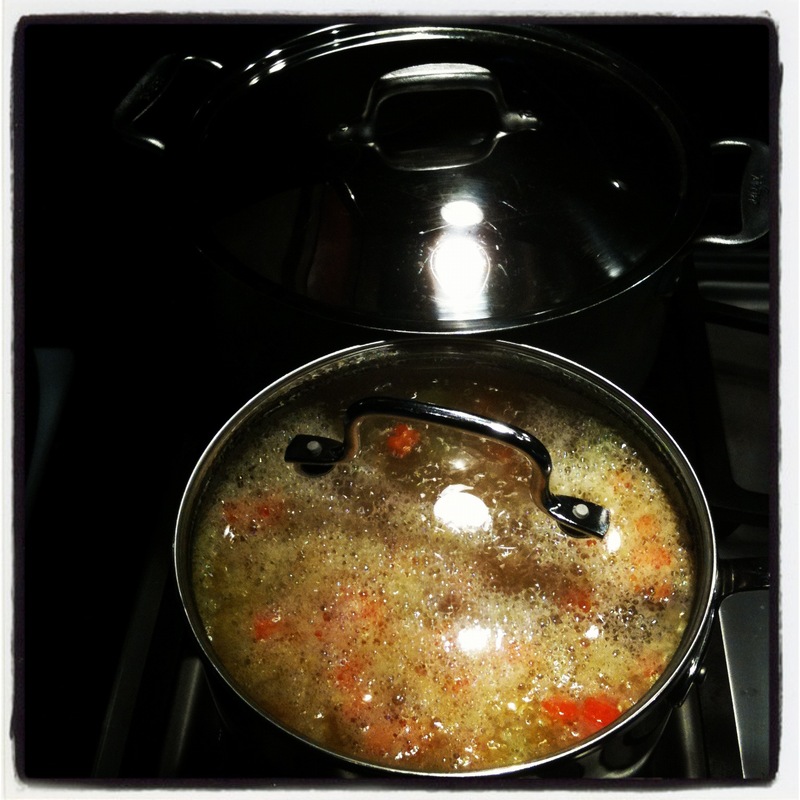 Reduce heat to low and simmer for 45 minutes. 14. Add 1/2 tsp. Kelp Granules. And Puree again. 15. The finished product, which I ate immediately after taking this photo. 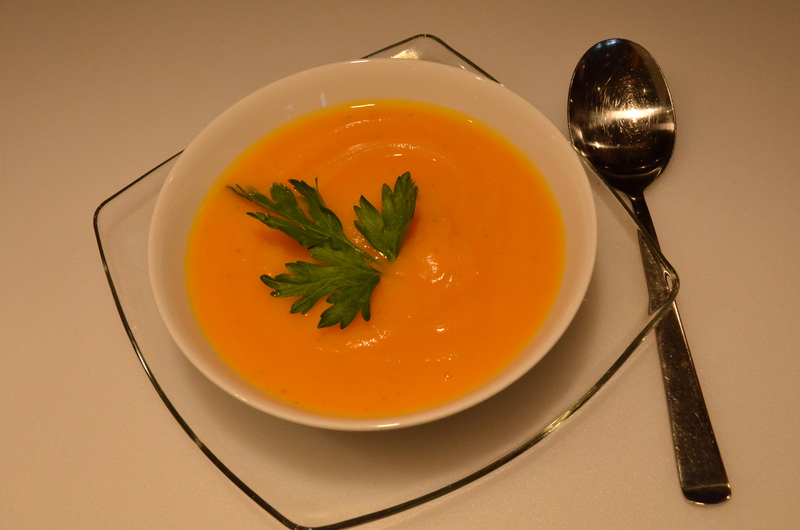 Kabocha Pumpkin Soup, garnished with fresh parsley.